TRX/USD is ranging on the medium-term outlook; the cryptocurrency is range bound between the distribution territory of $0.015 and the accumulation territory of $0.013. Both bears and bulls have no momentum to make the coin rally to the south or to the north respectively. That means the market is at equilibrium. The ranging movement started shortly after the bears pushed the coin from its high of $0.017 price level to the low of $0.013. The interlocking of 21-day EMA and 50-day EMA is one of the major signs to confirm consolidation on the TRX market. The TRX price is hovering around the two EMAs. Nevertheless, the Relative strength index period 14 is above 40 level showing no direction but parallel to the level indicate that consolidation is ongoing. Breaking out to the south with a bearish candle closed below the accumulation territory of $0.013 will make the coin rally to its previous low of $0.011. Also, the penetration and closing of a bullish candle above the distribution territory of $0.015 will make the coin to have its target at $0.017 – $0.020. TRX is ranging on the medium-term outlook. 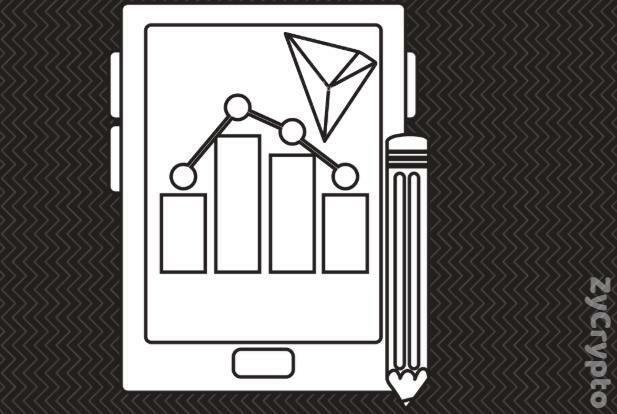 TRX price is consolidating below the 21-day EMA and 50-day EMA. A radical fundamental event is needed to make the coin rally to the north or to the south. However, Relative strength index is above 50 level pointing down which indicate sell signal. Traders are advised to remain flat until there is break out.